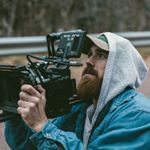 Jakob Owens is a video Director, editor, photographer, and content creator based in Los Angeles California. He is the creator and owner of TheBuffNerds youtube channel which has amassed 670k subscribers and over 200 million views. Jakob is a also a fitness enthusiast with a thirst to adventure, travel and live life! Demographic data for @jakobowens' audience is available for free to influence.co users.